What is The Binary Lab and Why you should join our trading group? What is The Binary Lab and Why you should join? What is The Binary Lab and Why you should join our trading group? In this short tutorial, I will be telling you about the details of The Binary Lab. Actually, The Binary Lab is the true binary options trading community where every member is trading according to my guideline. I am Julian Wong, The founder of the binary lab. I have been trading since 8 years. I love binary options trading and love to teach others also. In the group of The Binary Lab, I actually share my experiences and my trading strategies with everyone. All of my members can access my trading indicators and training videos. They learn every day from me. I run live sessions almost every trading day. Generally, I do 4-6 live webinar where my members can access my trading screen and my live computer screen. They can follow my speech and my direction to take trades. After a successful session, I post my scores and everyone share his own scores. It is really a nice environment to learn, fun and share knowledge with one another. If you are looking to make money from binary options trading, It really can help you. Everything is real and transparent in this group. I never like spam and allow any scam software that promises you to make you a billionaire overnight. I teach every member to learn the best binary options trading strategies grow trading account gradually. In the binary lab, you can share your experience, knowledge, success, failure and can learn from others. It is very effective for the newbies to find out their mistakes. You already know that the binary lab has become a buzzword in the binary options industry. The members of the binary lab are increasing day by day. Also, you are looking to join the binary lab. 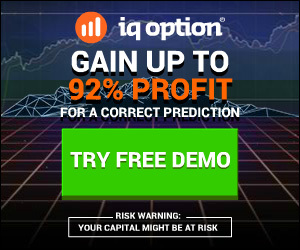 You may have seen some BS binary options trading robots. Their sales page’s video will tell you something like, You will surely make money and you will be a millionaire within 1 month. Or, you may notice there are some products which name like “7 day millionaire”, “1 month billionaire” etc. These are seriously ridiculous. A person who can realize the truth, can understand that they are just FAKE. If binary options would be so easy, so then why everyone is not trying binary options to be a millionaire? Ha ha ha. But the truth is that you will lose all of your money using these softwares. It is surely possible to make lot’s of money from binary options trading. But you have to learn the actual way of trading. You have to understand the market condition and the rules of trading. Otherwise, one or another day you will lose all of your investment. But if you trade by following a good strategy, that it is really very easy to make money from binary trading. Binary Options Broker Price Manipulation.